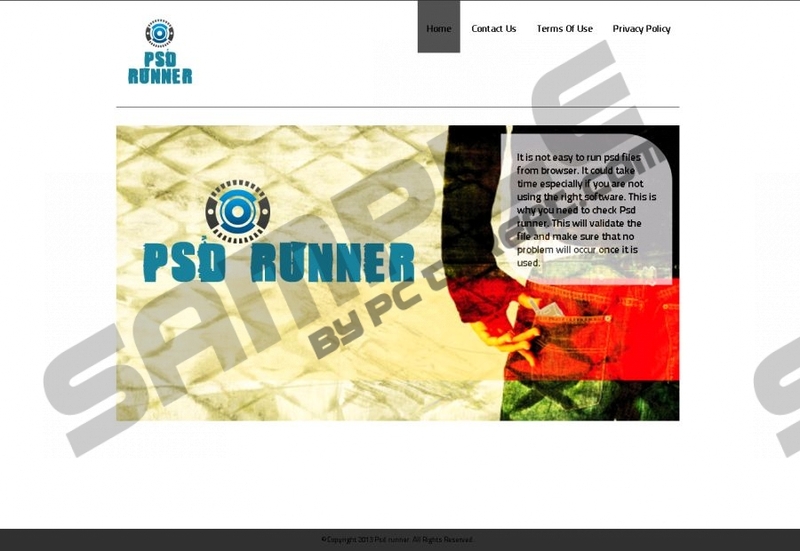 PsdRunner is a program which is meant to help you run Adobe Photoshop Document files. Even though the developers of the program use psdrunner.info to promote the application which is supposed to save time and prevent errors, you are not provided with a download link. The application is usually installed alongside other computer applications without much of your knowledge. Unfortunately, this is not the only reason why you should not trust this application. Continue reading to learn more about the risks related to the application. The information within the report will also help you delete PsdRunner from the PC. It has been discovered that PsdRunner acts as an advertisement supported program. Once installed onto the computer it enables online ads presented via the advertising domain justplug.it. Since the extension can be installed on all popular web browsers, including Internet Explorer, Mozilla Firefox and Google Chrome, there is a great chance that you would face irritating pop-up and banner ads as well. These are not only irritating. In fact, clicking on them is considered to be dangerous. Therefore, if you discover suspicious ads flooding the browsers, we recommend that you remove PsdRunner right away. Note that this program could be presented with different names, including PSSDrunneare, Psdrunneero, PSdRuNnER, etc. Have you installed PsdRunner onto the computer yourself? Was it bundled with other software? Was it activated without your consent? However this application runs on your computer, we advise that you delete it from the browsers right away. Use the manual PsdRunner removal instructions below and then install automatic malware removal software to delete other applications which may have entered the PC alongside the suspicious plugin. Make sure you leave a comment below if some of the removal steps are unclear to you. In the menu select Control Panel and click Uninstall a program. Right-click on the program you wish to remove from the PC. Select Uninstall to get rid of PsdRunner. Locate the Start menu icon on the Task Bar and click it. As the Add-ons Manager opens in a new tab click Extensions. Find the undesirable plugin, click Remove and restart the browser. Click the recycle bin icon, select Remove and restart the browser. Quick & tested solution for PsdRunner removal.